In our previous post we have mentioned all the best Fiverr like WordPress themes that you can use to build microjob website. 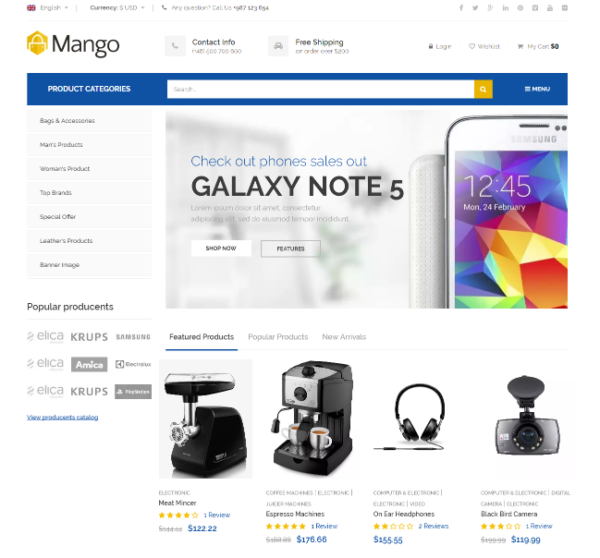 In this post, you’ll find great eCommerce themes similar to Amazon you can use for your next project. 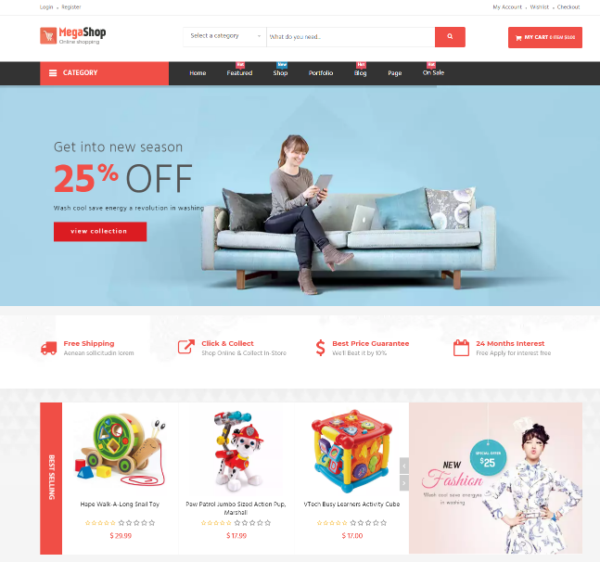 All these themes are suitable for medium to mega store website. Built with powerful administration to help you manage everything from simple tasks to the most advanced site configuration. Our goal is that you’ll find this excellent Amazon WordPress themes helpful for you and discover something you are actually looking for. Let’s check it out. 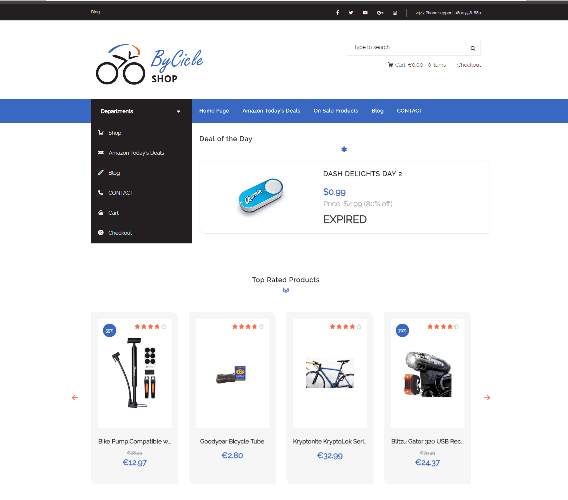 This mega store wordpress theme come with advanced features and awesome user interface design, perfect to build Amazon like web store. Include drag n drop page builder, custom logo design, grid post layout, SEO optimized and much more. 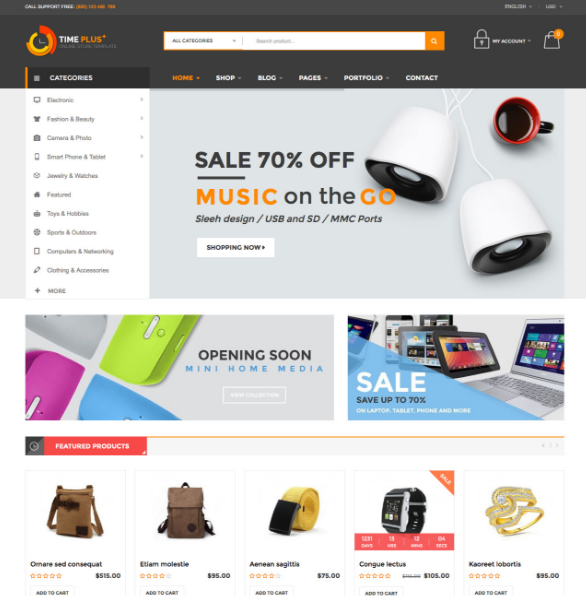 Flashshop is an ideal amazon like responsive WordPress Theme that you can to build big store for Electronics, Digital, Furniture, Fashion, Accessories, Beauty, Technology, Healthy, etc. Theme is fully responsive on all kinds of screens you are using. Are you gonna build an attractive Amazon like website? Elektron come with modern design and functional features as pixel perfect, highly responsive, easily customizable and more. This theme has a lot of powerful features and will not disappoint you. 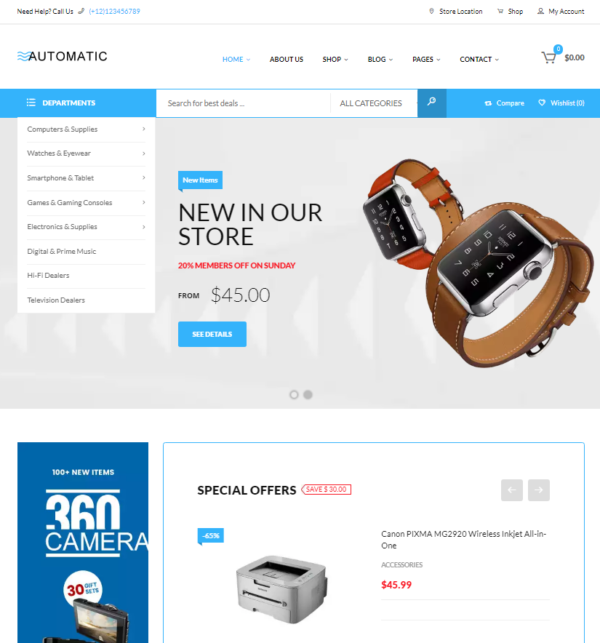 Automatic is designed for medium store, big store or a supermarket online shop. Based on Redux framework and empowered by a robust admin panel and a lot of other popular plugins such as Visual composer wordpress plugin. 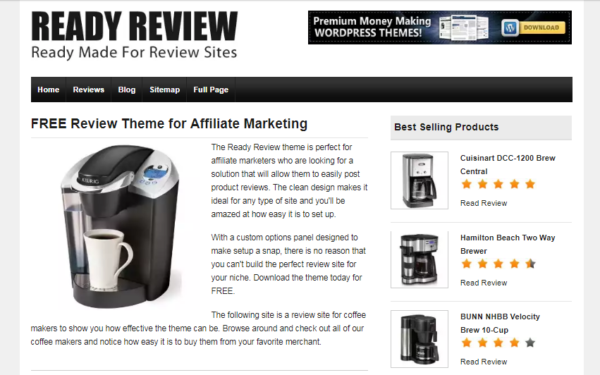 Ready review is a free theme that great to use on Amazon affiliate website. Build a high performing review site easily with this theme. All you need is a niche to pursue and some great products to promote. Timeplus theme is a responsive, modern looking, based on Bootstrap WordPress theme comes with lots of built-in functionality which includes powerful admin panel. This theme suits to sell everything. 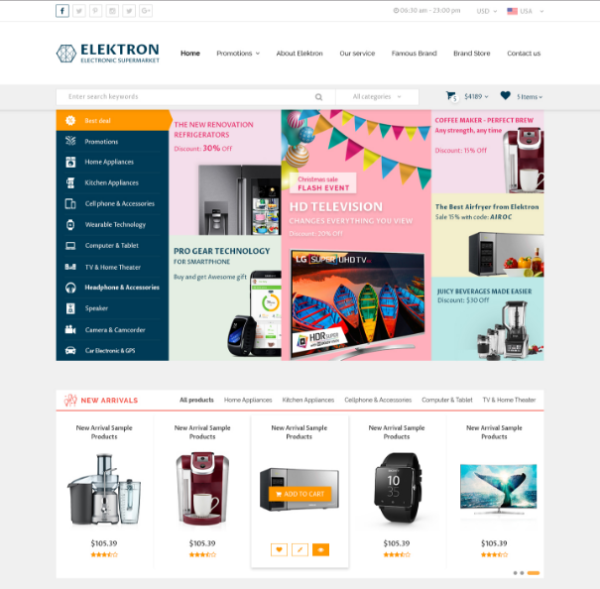 Techstore is a flexible WordPress theme built in WooCommerce to power your online store. 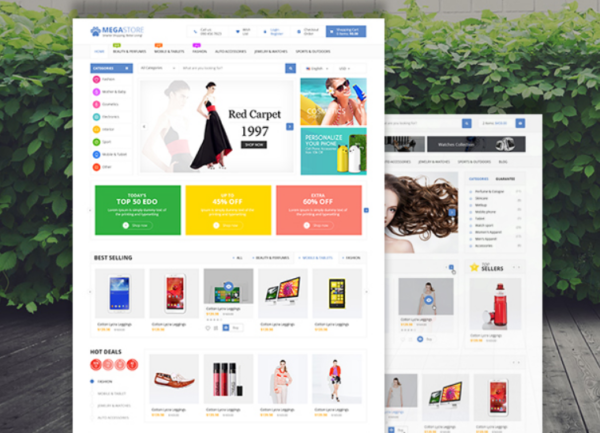 It is built and comes bundled with most of the advanced features available in most popular eCommerce websites like amazon, flipkart, etc. 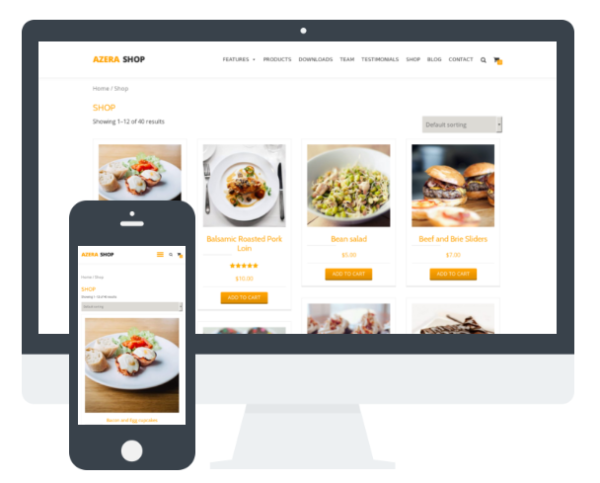 Azera Shop is an elegant free WooCommerce WordPress theme, perfect for building an one page online store. Compatible, WPML, RTL and with parallax effect. The flat and simple design based on bootstrap template. 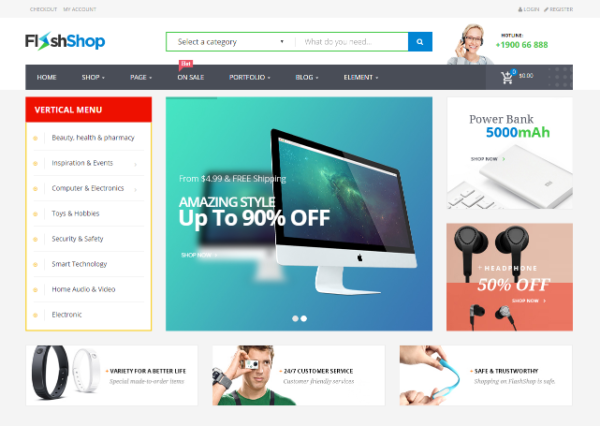 Megashop is the responsive eCommerce theme powered with WooCommerce. 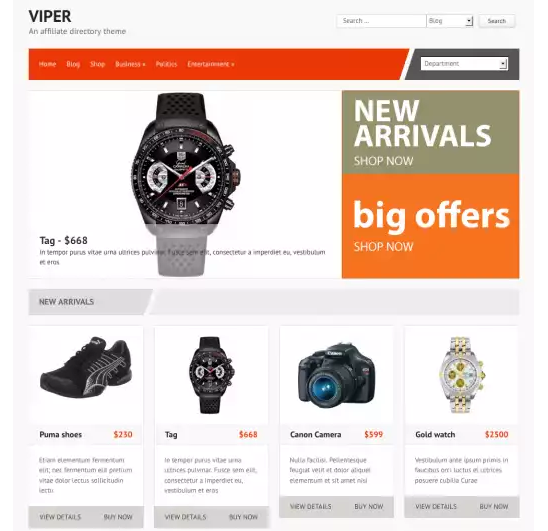 The theme comes with 3 pre-built sites, flexible layout and ease of customization. Kingdom comes with mobile friendly layout and SEO-ready, Retina Ready and has 3 individually customisable display modes: for desktops/laptops, tablets and phones. 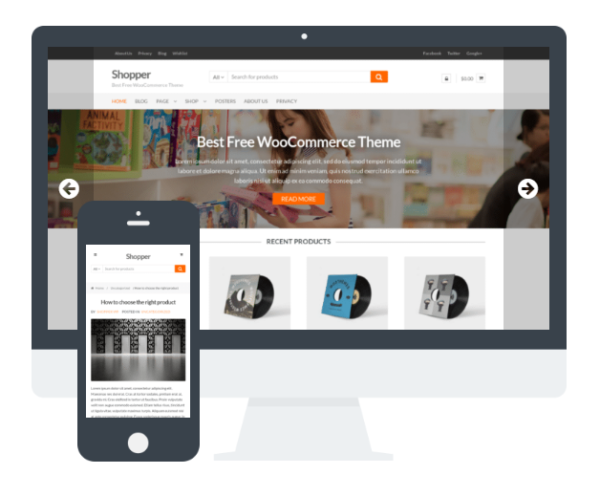 The shopper is free woocommerce & business wordpress theme with a clean design, easy to use, customizable, fast, products structured data and integrates the industry standard woo commerce. 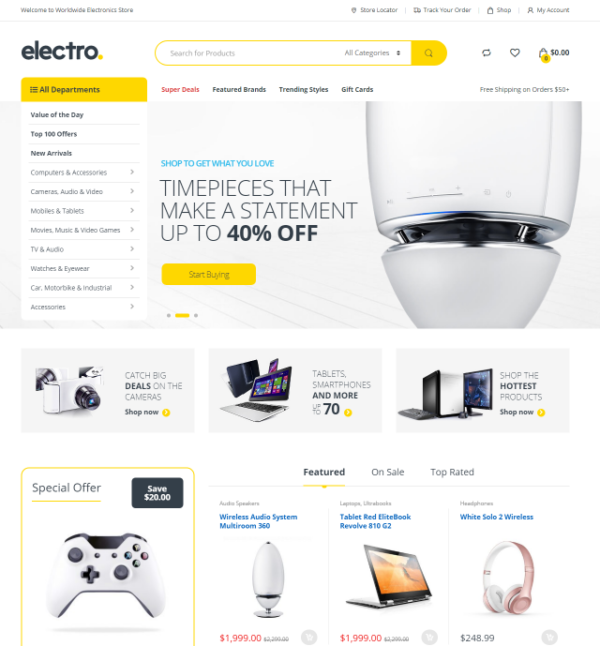 Electro is a robust and flexible WordPress Electronics Store WooCommerce theme. Well suited for Electronics Store, vendor based marketplaces, Amazon affiliate websites. 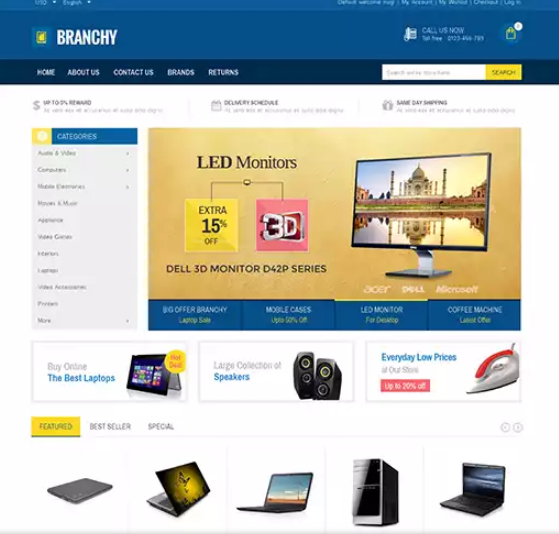 Branchy Shop is wordpress ecommerce theme that suitable for electronics, computer, mobile, cosmetics, accessories, mega store and multipurpose online stores. It is very nice with its clean and professional look.